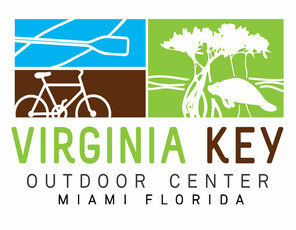 Virginia Key Beach North Point is the only beach that has enjoyed no warnings or closures all year. You have been hearing a lot about Florida coastal waters these days; red tide killing fish and closing beaches to another season of toxic blue-green algae from Lake Okeechobee. These problems go far beyond partisan politics. They are real and they affect us all. Red tide (karenia brevis) is a dinoflagette that is known to exist on Florida’s West Coast off the Florida Shelf. Gulf Stream currents are believed to have carried k. brevis to the Atlantic coast of Florida. Beach closures have been issued from Palm Beach to Haulover. The Florida Gulf Stream is a conveyor belt of sorts. It moves warm Gulf waters north. The current moves at an average rate of 4 mph. At times it moves closer to shore while other times it is further offshore. It is generally closest to shore in the Palm Beach area. Boaters know when they hit the Gulf Stream by the deep dark blue color change in the water. Unfortunately the current color has been redish in certain areas. What does this mean for beach safety? If you’re in an area where the water does not move, there are dead fish or other wildlife, the water is discolored beyond naturally occurring ranges – don’t go in the water. If you encounter something that looks wrong report it. Take a photo, note the date, time and location. 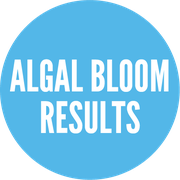 The Report Algal Blooms hotline and online submission form are for freshwater blue-green algae reports only. 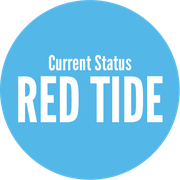 To report red tide blooms, visit the FWC Red Tide Status website. To ensure the health and safety of our state’s residents and visitors, the Florida Department of Environmental Protection is committed to keeping Floridians updated on current algal blooms and how the state is responding to protect human health, water quality and the environment. DEP, the five water management districts (WMDs), the Florida Department of Health (DOH), the Florida Fish and Wildlife Conservation Commission (FWC) and the Florida Department of Agriculture and Consumer Services (DACS) all work together to respond to algal blooms, each with a specific role. DEP and Florida’s water management districts frequently monitor Florida’s water quality, and routinely collect algal bloom samples as soon as they are observed as part of this effort. 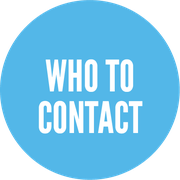 In addition, staff can be deployed to take additional samples in response to reported blooms – whether from a citizen, other response team agencies or other sources. The algal bloom response team takes all algal blooms seriously and all federal, state and local agencies will continue to respond as quickly and efficiently as possible to both observed and reported algal blooms to ensure the health and safety of Floridians, visitors and our natural resources.